Leah and Miguel had an amazing story of how they got together and the challenges they overcame to be here. Their love for each other was amazing, and I’m sure you’ll agree it shows in these Sydney pregnancy photographs. Finally they have been gifted the baby they’ve long waited for. They were both originally from the Phillipines, and had known each other for a very long time. After being together for a while, they decided to move to Australia to start a new life here. In all the excitement and change of the big move, in getting accustomed to a new country and way of life, they could always count on each other. To hear them refer to each other as their center, their rock, always being there and supportive of each other, it was so touching. Then the time came when things were right they decided to start a family. But sadly it was not to be that easy. In fact, like many of our clients, the road to being a parent was not an easy one. When finally they received this blessing, they decided to capture their emotions right now in the most authentic way. Both to show their families at home in the Phillipines, and also for baby Tala when she grows up. We started chatting really early, when Leah was only 24 weeks pregnant. And that’s the best way really, because it gives you time to pause, and really think about what is important to you, and what your loved one means to you. It also gives us time to get to know you well enough to capture your connection truthfully. After all, how can you trust a stranger who doesn’t know you to document such an important time of your lives? We discussed what they meant to each other, the way they felt when they finally got the great news. They recounted how it was when they first felt their baby girl kick, how they decided on her name, and the meaning behind that, the Star of the Sea. We talked about the bedtime stories Miguel made up for her, and their hopes and dreams for the future. 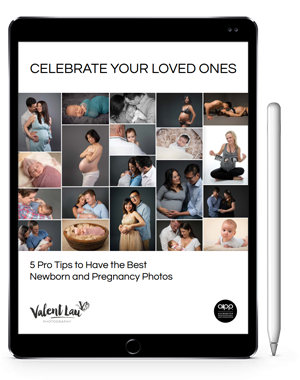 We planned a pregnancy photography session around these moments of discovery to capture their connection and love for their little girl. It was a wonderful session. We had stories, we had love letters. In the end we designed this beautiful piece from the session that totally encapsulates who they are right now.